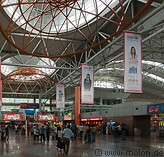 Kuala Lumpur Sentral (KL Sentral) is a transportation hub which houses KL's new railway station and hotels, office towers, condominiums and shopping malls. The total area of the development is 290000 sqm and completion is scheduled for 2012. 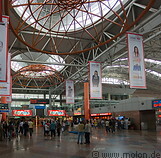 At the moment KL Sentral is where the KLIA Express train to KL International airport and other trains arrive and leave.